KRASNOYARSK, Russia (January 24) - The brackets for the second day of freestyle and women's wrestling at the Ivan Yariguin have been released and here are three potential matches that you can't afford to miss. This 65kg semifinals match is a long-shot and would require several pieces to fall perfectly into place, but if they do, the matchup between two-time world bronze medalist, Akhmed Chakaev and two-time world runner-up Gadzhimurad Rashidov will be a high-flying electric showdown. Rashidov wins the special wrestle-in against Alan's champion Kurban SHIRAEV (RUS). Rashidov beats the United States’ 2017 65kg world team representative Zain RETHERFORD (USA) in the quarterfinals. Chakaev wins his quarterfinals matchup against Cristian SOLENZAL LOPEZ (CUB). This 68kg qualification match between four-time age-level world champion Khanum VELIEVA (RUS) and 2018 U23 world champion Yudari SANCHEZ RODRIGUES (CUB) is a quarterfinals rematch of the 2018 Bucharest U23 World Championships, where the Cuban wrestler topped the Russian, 5-0. Sanchez Rodrigues’ 5-0 quarterfinal win over Velieva, who was named United World Wrestling’s 2018 Female Junior Wrestler of the Year, helped catapult her to the top of the world podium and played a pivotal role in her becoming the first Cuban woman to win a world title in any age group. This 53kg qualification bout features the pair of previous world silver medalists, Sarah Hildebrandt and Ergenechimeg Sumiya. 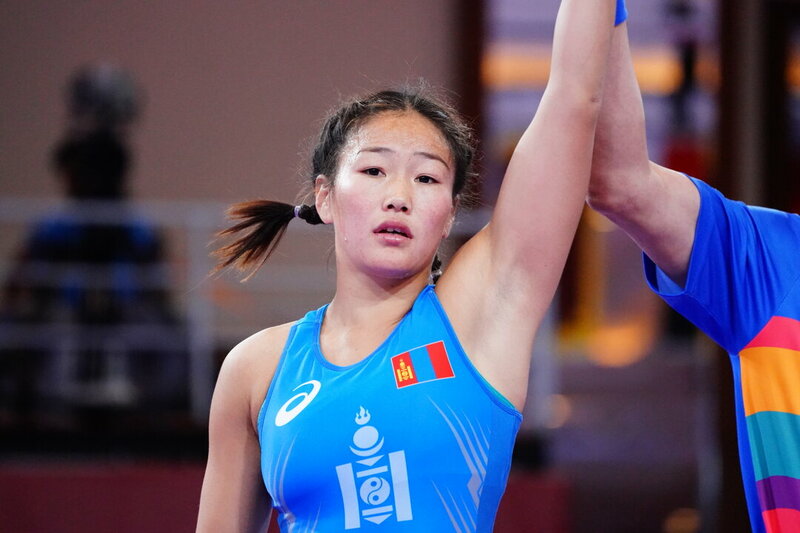 Sarah Hildebrandt is the reigning world runner-up at this 53kg, while Erdenechimeg, a four-time top-10 finisher at the world championships, is a 2013 world runner-up at 51kg. This is the first time these world finalists have met in their storied careers.